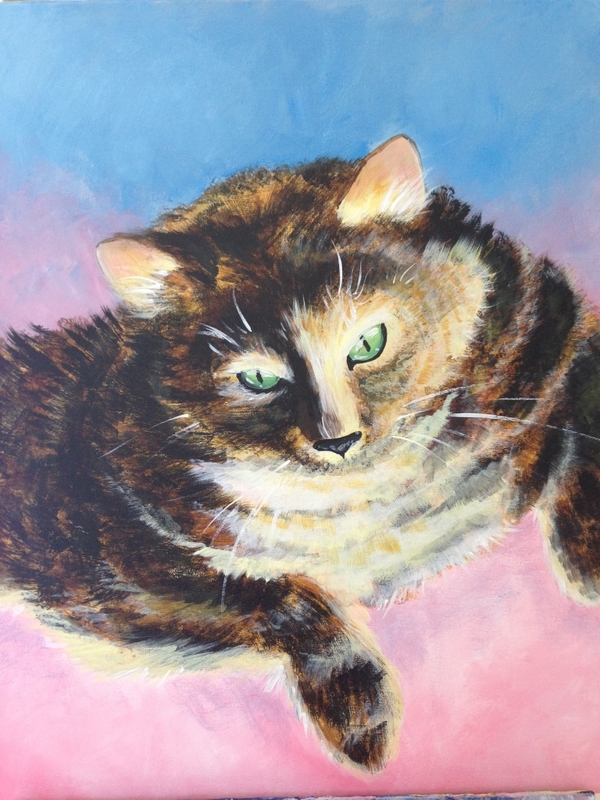 Immortalize your beloved pet on canvas. Dog, cat, iguana, canary, rabbit…whatever!Send us a photo of your pet and we will hand sketch it onto your own 16 x 20 canvas. For this class only we limit the number of students to 10 so that everyone can get some one-on-one time. We provide the canvas, paint, brushes, easels, apron and instructor — you provide the subject matter. No alcohol during this class, but we will have complimentary water, sodas and chips/cookies. Send your pet’s photo to efucello@visartscenter.org. For best results please send a close-up, this is not the time for unusual poses or “artsy” shots. This class is not eligible for any coupon.